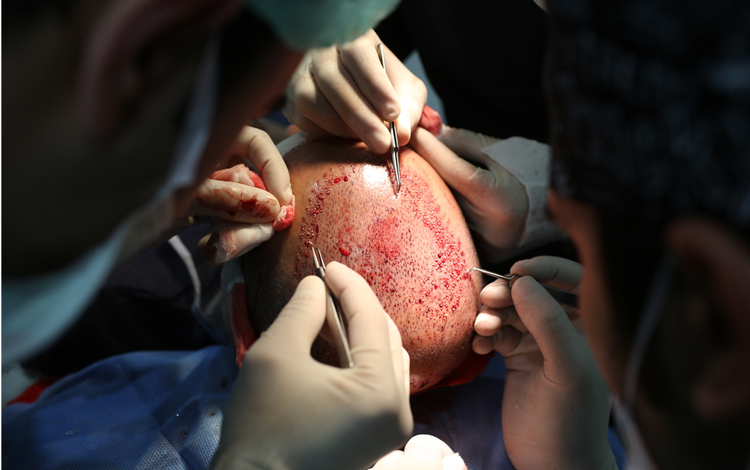 Hair transplantation is a surgical technique that removes hair follicles from one part of the body, called the ‘donor site’, to a bald or balding part of the body known as the ‘recipient site’. The technique is primarily used to treat male pattern baldness. In this minimally invasive procedure, grafts containing hair follicles that are genetically resistant to balding (like the back of the head), are transplanted to the bald scalp. Hair transplantation can also be used to restore eyelashes, eyebrows and to fill in scars caused by accidents or surgery such as face-lifts and previous hair transplants.